The Dish of the Week is a bacon wrapped Vietnamese sausage stuffed charbroiled pork loin Banh Mi from Banh Street in Spring House. 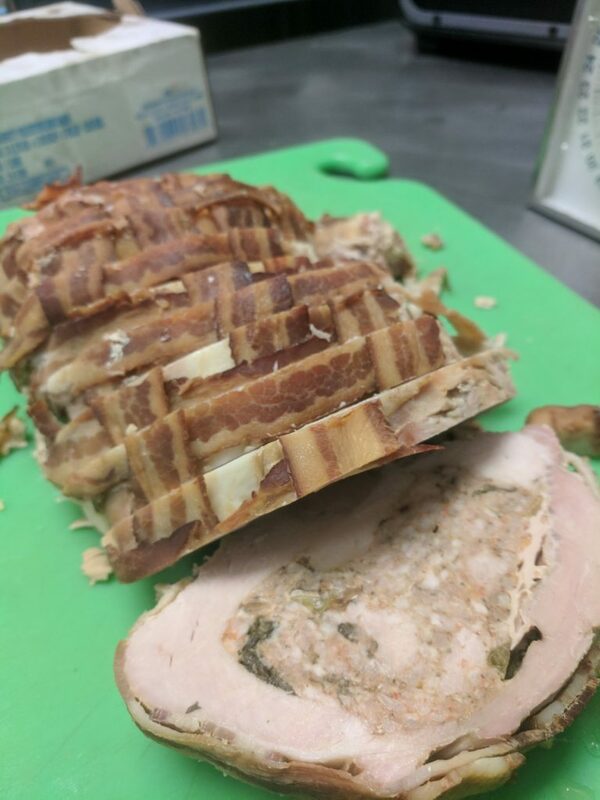 Banh Street’s Chef Kenny brined a pork loin in green tea, palm sugar, mirin and basil then stuffed it with grilled scallion sausage and wrapped it in Applewood smoked bacon. 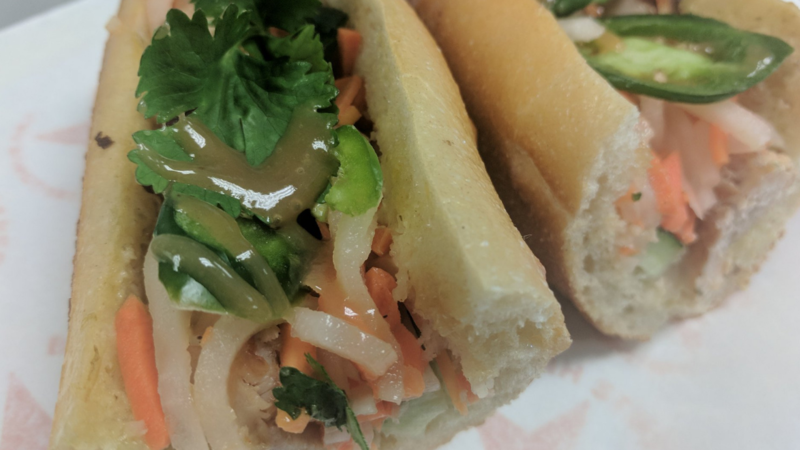 Served on a French demi baguette with roasted Jalapeno Aioli, and all of the usual Banh mi accoutrements and finished with Pomelo Palm Sugar Carmel for $11.95.